Just as there are particular places throughout the world that attract the attention of culture seeking travelers, there are particular destinations that catch the eye of investigative researchers. While everyday individuals may choose destinations for monuments, food, or nightlife, scholars and doctors may examine compelling places for inhabitants’ behaviors and ways of living. Within the past two decade, researchers have located a number of geographically unrelated hotspots where people possess the secrets to health. The Blue Zones, as they are called, have garnered the attention of world renowned scientists because they are home to the world’s oldest living people. By examining the secrets of these Blue Zone cultures, we can alter our behaviors in a way that leads to greater personal wellbeing and longevity in life. It was in the early 2000s when a not so typically traveller named Dan Buettner made the decision to uncover the health secrets of the world’s oldest living people. Buettner, who earned three Guinness Book of World Records for riding his bike around the globe, was a travel fanatic who became interested in the cultural variation he encountered in different parts of the world. In 2004, Buettner teamed with National Geographic and a group of world-class researchers to create a standard set of longevity secrets that could be used by all. During the extensive research phases of the project, Buettner and his the team aimed to locate communities with the highest number of centenarians, or people who live to 100-years-old, and pinpointed five ‘Blue Zone hotspots’ spread around the globe. After four years of thoroughly investigating these places, Buettner published ‘The Blue Zones: Lessons for Living Longer from the People Who’ve Lived the Longest’ which quickly rose the charts to become a New York Times Best Seller. The five locations that were pinpointed for being home to the world’s oldest living individuals are: Okinawa, Japan, Ikaria, Greece, Sardinia, Italy, Nicoya, Costa Rica, and Loma Linda, California. Blue Zone scientists and researchers determined that the naturally health conscious lifestyles of citizens in these places resulted in them living to age 100 at ten times the rate of citizens in the United States. Although the five locations share little in common geographically, it is apparent to see how Blue Zone inhabitants share many dietary secrets and live their lives similarly. Move Naturally: The vast majority of citizens in the Blue Zones live actively because physical fitness is built into their daily routines. Instead of having to push themselves to go to the gym or for a run, the lifestyles found within Blue Zone cultures naturally promote exercise as individuals go about their day. For example, many Blue Zone inhabitants rely on walking or riding their bikes as their primary means of transportation. Know Your Purpose: One common factor of longevity that Buettner and his team discovered was that many elderly individuals living in the Blue Zones felt as if they still had an important purpose in life. Regardless of age, individuals in Blue Zone cultures find meaning in their work, family relationships, and social responsibilities which motivates them on a daily basis and positively affects their overall wellbeing. Down Shift: In the fast-paced and competitive environments of the western world, individuals put little emphasis on slowing down, taking breaks, and spending time away from it all. In fear of being passed up and left behind, citizens become overworked and stressed which negatively affects their overall health. In stark contrast, Blue Zone citizens prioritize rest and relaxation, and take time each day to enjoy the simple pleasures of life. 80% Rule: The 80% Rule is all about calorie consumption and weight management. In the Blue Zones, instead of eating until their stomachs reach maximum capacity, citizens typically eat until they are 80% full. By eating this amount, individuals are able to curb their appetite and maintain a healthy weight. Plant Slant: Across the five Blue Zone locations, there is a similar dietary preference for naturally life-promoting fruits and vegetables. While some Blue Zone inhabitants do enjoy meat occasionally, the everyday diet of Blue Zone citizens typically centers around nutrient rich plants that are indigenous to their particular geographical region. Wine at 5: Recently in the United States, research has shown how drinking a glass of red wine, which has natural cancer-fighting properties, with dinner each night can help individuals maintain their health. For centuries, many of the Blue Zone cultures have understood this truth, which helps to show why red wine is considered such an important part of their cultures. Right Tribe: Blue Zone researchers tell us that the individuals who live the longest were either born into or created social circles that promote healthy behaviors. You can be assured that the people you spend your time with will affect your wellbeing either positively or negatively, so if you want to enjoy good health and longevity in life, it will be imperative to surround yourself with supportive individuals who make you feel happy and push you to become a better person. Community: Similar to the right tribe characteristic, it is equally important for individuals to find supportive communities that value the whole more than the individual parts. Many Blue Zone citizens enjoy the life-promoting feelings of meaning, importance, and connection that naturally come as a byproduct of community focused living. Loved Ones First: It shouldn’t be surprising to see that many of The Power 9 characteristics focus on the importance of meaningful relationships. Just as it is important to join the right tribe and focus on the greater community, it is healthfully beneficial to put your loved ones first. In the estimation of Blue Zone researchers, nothing should be prioritized or cherished more than your most important relationships. Okinawa, Japan: Life expectancy rates in Okinawa, Japan, are amongst the highest in the world and senior citizens suffer from heart disease and certain types of cancer 1/5th the amount as do their U.S. counterparts. On the small southern Japanese island, older adults are revered and seen as valuable members of the greater community which helps to promote their mental wellbeing. Okinawans are known to stay active well into the later years of life and consume a healthy diet that is packed with vitamin and nutrient rich fruits and vegetables. One unique custom in Okinawa is that families grow their own gardens of fresh fruits, vegetables, beans, and sprouts which not only helps citizens maintain a healthy diet but also promotes physical active and fitness. Ikaria, Greece: It has been estimated that the mountainous Greek island of Ikaria is home to the highest percentage of 90-year-olds in the entire world. 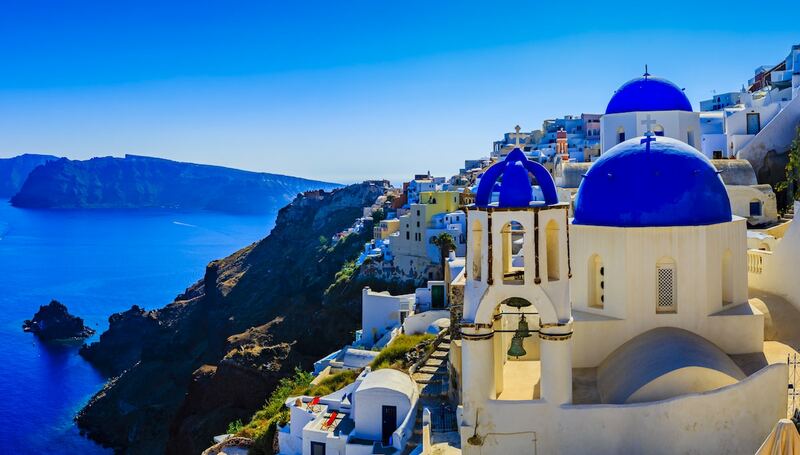 Thanks largely to the now famous Mediterranean Diet, one out of every three Ikarians will live past their 90th birthday. In addition to consuming a bountiful amount of daily greens, herbs, fish, and olive oil, older adults in Ikaria have a unique and important role in the island’s society. Family life is very important, and it isn’t uncommon to find multiple generations of Ikarians living under the same roof. Seniors in Ikaria usually play a major role in raising their grandchildren before they become adults. Additionally, the mountainous terrain of the island makes exercise a part of virtually every individuals’ life regardless of their age. Sardinia, Italy: The second Blue Zone hotspot found within the Mediterranean Sea is the Italian island of Sardinia. During the extensive research phases of the Blue Zone project, it was discovered that the men in Sardinia enjoy greater longevity in live than any other place in the world. Much of this is due to the fact that men in Sardinia largely favor laughing with family and friends over the stresses of work. In Sardinia, like Ikaria, grandparents play an important role in their grandchildren’s lives and family relationships are valued above all else. Older adults in Sardinia are also thought of as being important parts of society who can offer younger generations the wisdom they have accumulated from their life experiences and financial support in times of need. Unsurprisingly, Sardinians enjoy red wine like many others in Italy and consider drinking it in moderation to be one of their most well-recognized secrets for good health. Nicoya, Costa Rica: The Nicoya Peninsula sits on the southwestern side of Costa Rica and has been pinpointed by researchers as being a Blue Zone hot spot. Thanks largely to a traditional lifestyle that has remained unchanged for centuries, Nicoyans enjoy good health well into the later years in life. Unlike many places in the world, Nicoya’s residents take pride and joy in the physically exerting activities that are part of the most common everyday professions; farming, general labor, and cattle ranching. It is estimated that a 60-year-old from Nicoya has four times the chance at reaching 90-years-old when compared to their counterparts in the United States. One interesting reason for Nicoyans good health is that the local water is naturally rich in Magnesium and Calcium. Moreover, the traditional Nicoyan diet of corn and beans may be the most nutritionally beneficial in the entire world. Loma Linda, California: It is estimated that Seventh-Day Adventists living in Loma Linda, California, live nearly 11 years longer than the general California population. The Seventh-Day Adventist Church is a Protestant Christian denomination that recommends individuals treat their body like a temple and observe the Sabbath, a 24-hour period set aside to focus on God, community, family, and nature, each week. Followers of the religion use the Sabbath as a way to recharge, let go of daily stresses, and cultivate relationships with others in the community. Additionally, the religious beliefs of Seventh-Day Adventists promote a primarily vegetarian diet and disobey smoking or drinking alcohol. In comparison to the rest of the United States, the Loma Linda community enjoys superior health and longevity in life. Now that we have explored the Power 9 Blue Zone characteristics and examined each individual Blue Zone culture, it should be apparent to see that diet, exercise, and a sense of meaning all play a part in our individual wellbeing. By sticking to a predominately vegetarian diet, Blue Zone inhabits enjoy the benefits that come from nutrient rich vegetables and fruits. Instead of having to push one’s self to workout every single day, Blue Zone citizens have physical fitness and exercise naturally built into their daily routines. Yet still, just as important as diet and exercise, individuals living in the Blue Zones show how imperative it is for us all to find meaning in our work, relationships, and communities. If you are interested in learning more about the Blue Zones, Dan Buettner has published two additional books since the original Blue Zones book hit the shelves in 2008: Thrive: Finding Happiness the Blue Zone Way (2011) & The Blue Zone Solution: Eating and Living Like the World’s Healthiest People (2015).